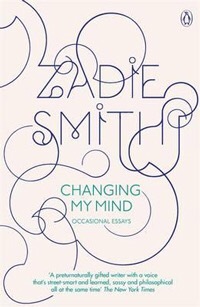 “Changing My Mind” is a strange title for a book of essays. The majority of opinionated writers in the UK often appear worryingly sure of themselves. The columnists littering the pages of our newspapers are a strident bunch, desperate to demonstrate that they know what’s best for us. Smith isn’t strident about much, despite her obvious mental gifts. This is one of the many reasons she comes across as far more intelligent than the majority of non-fiction writers who have bothered to write in the last few years (that I’ve read). She weaves her way through topics from strange angles, isn’t afraid to take readers on weird asides, and peppers her pieces with footnotes containing strange trivia. I’m certain I won’t be the first person to compare these essays to David Foster Wallace (whom is namedropped in almost half the essays here), but Smith comes across as, if anything, more erudite than him, which is intimidating but great fun to dig through. The range of subject matter covered is wide considering how cohesive this is: race, E.M. Forster, Christmas, Kafka, the Oscars. Smith has a distinctive voice: she’s learned but friendly, challenging but inviting, sombre but hilarious in the space of a paragraph. She enthusiastically engages with whatever she decides to muse on, and references philosophers, rap artists, Madonna, traditional literary canon figures, anything that appears to pop into her mind. There are fine lines between fun and frivolous, serious and dour, knowledgeable and pretentious, but Smith knows just how to maintain engagement. Smith’s willingness to question her own motivations and delve into her topics with endearing self-consciousness mean that, despite how often she’s uncertain, you’ll be glad to have heard what she had to say.